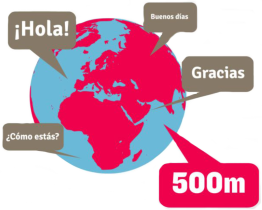 We are convinced that languages, nowadays, are an indispensable tool in enabling us to communicate with other people, to travel, to work and to be world citizens When it comes to learning a language, at Guadalmina Idiomas, we consider it a priority for our students to develop communicative and verbal skills as well as reading comprehension as quickly as possible. 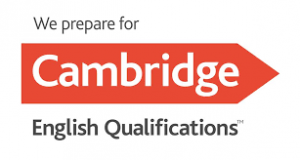 For this reason we have a team of teaching professionals, all graduates and native or bilingual speakers who are both highly skilled and personable. Our Spanish courses are adapted to all needs and ability levels: we have private lessons, semi-private classes, weekly courses, semi intensive and intensive, adapting each option to the different demands of our students. All members of the Guadalmina Idiomas team are focussed on fulfilling our mission, maintaining constant contact with families and students in a totally personalized way so that we achieve our objectives in the best possible way and in the shortest time possible. Our teaching methodology for all courses and languages ​​is based on a communicative, task based approach which incorporates all of the linguistic skills necessary for the comprehension of and communication in the target language; listening, speaking,reading and writing. This method enables students to achieve communicative and linguistic competencies in line with their objectives, needs and profile. The use of only Spanish in the classroom is key to ensuring that students experience total immersion in the target language from the outset. Our materials and educational resources are varied, enabling students to work on improving both written and oral communication in both the classroom and at home. The daily natural interactions between students and teachers, both inside and outside the classroom, creates the perfect environment to learn Spanish. All tasks and activities are student centred and they are encouraged to communicate and soleve all problems through Spanish wherever and whenever possible. All courses are based on indivual modules which contain appropriate objectives and content for levels A1 to C2. The user exchanges information with brief questions and answers, within a clear and concrete communicative context. The user understands, relates and expresses himself / herself in spoken and written Spanish, using simple language in everyday situations and cultural aspects. The user understands and is able to communicate in communicative contexts of their routine environment, knowing how to solve problems on their own. The user understands and expresses himself in general situations where there is an exchange of information. Express personal attitudes about topics that are familiar or of interest and talk about experiences. The user understands and expresses himself in multiple situations with complex linguistic structures – still controlled -, fluidity and spontaneity. The user expresses himself in an appropriate way in any situation, mastering linguistic and cultural elements of a native speaker and knowing how to distinguish nuances of meaning. 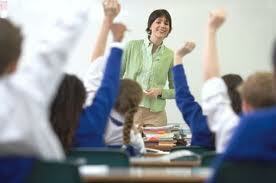 The inclusion of a student in a level depends on the result of the level test that is done on the day of arrival.